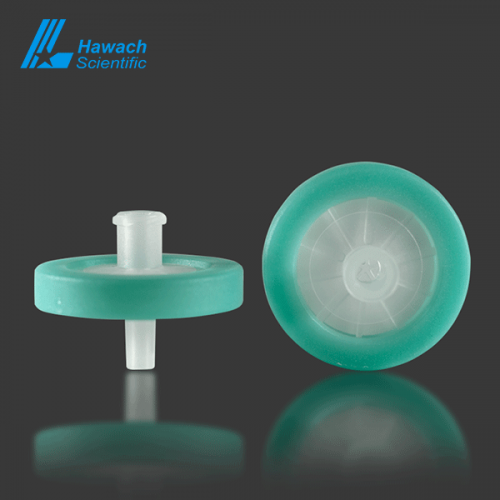 Disposable hydrophobic PTFE syringe filters adopt imported medical grade production equipment and 100,000 class clean workshop. Each filter is tested for air tightness. 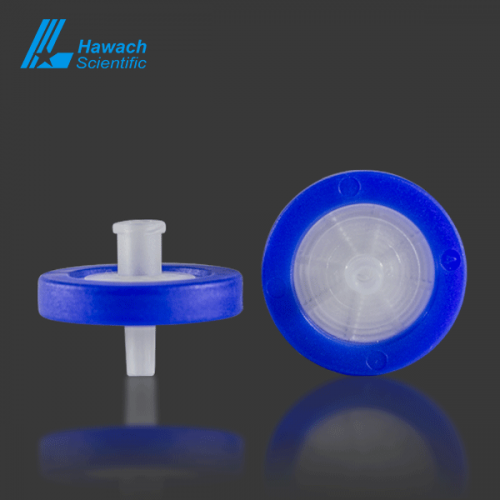 The disposable hydrophobic PTFE syringe filter has a uniform aperture, no media shedding, thin texture, low resistance, fast filtration speed and minimal adsorption. 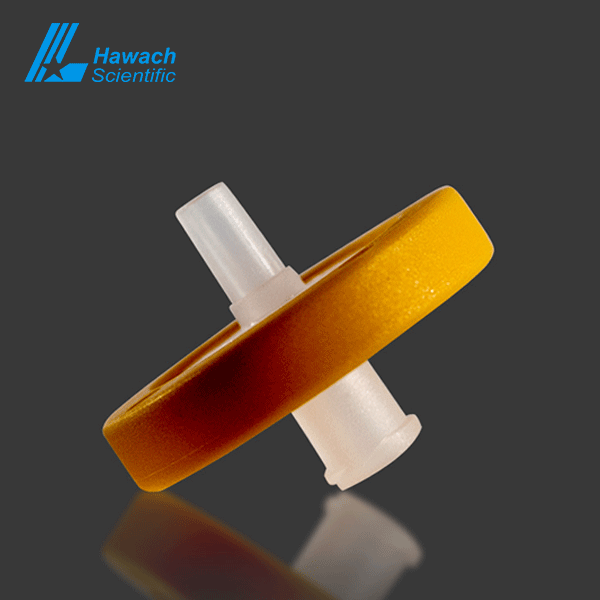 It can be used for the filtration of particles and bacteria such as gases, oils, beverages, wine, etc. 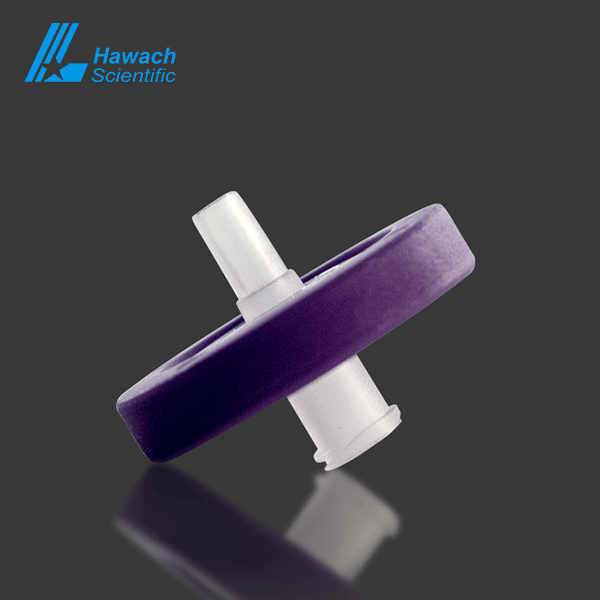 It can be used as a test for particles and bacteria. 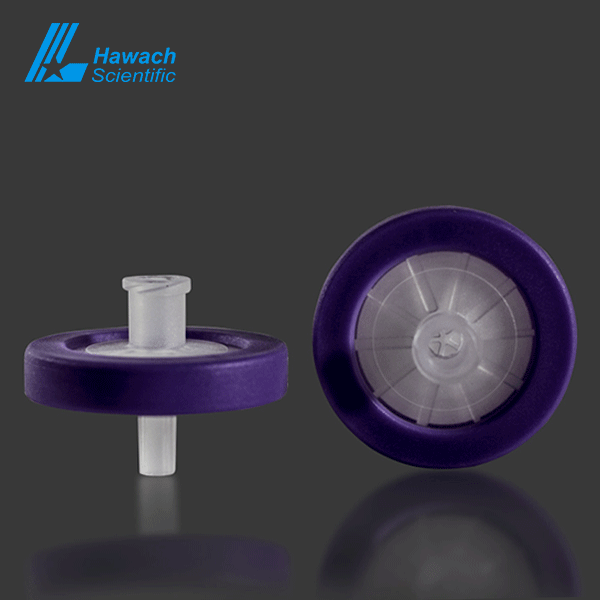 The syringe filter is flexible in use and can precisely control the flow of liquid, liquid phase syringe filter. 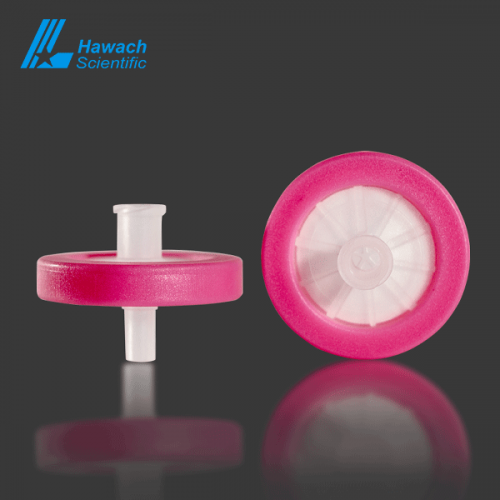 The outer casing is made of polypropylene (PP) with excellent chemical stability and is made into different colors, which is convenient for users to distinguish products with different specifications and materials to avoid confusion. 1. 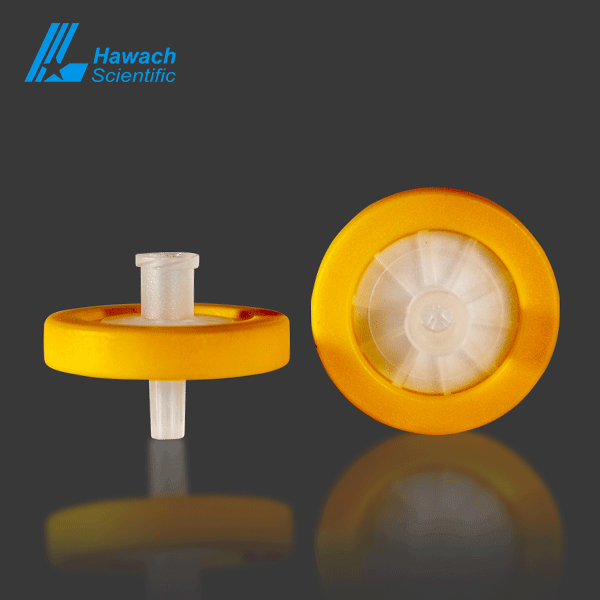 HPLC, MS, LCMS, GC, GCMS, IC and other instruments sample preparation, purification, pretreatment. 2. 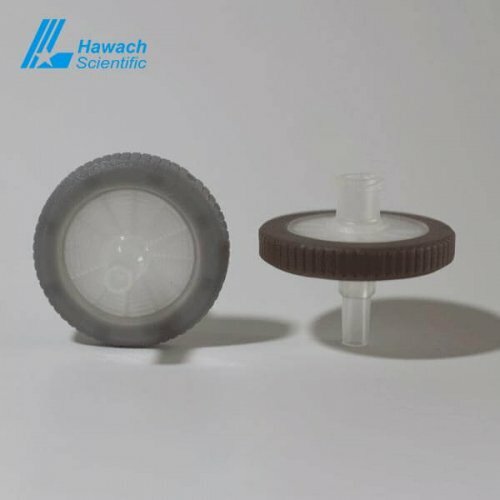 Preparation of biological products. 3. 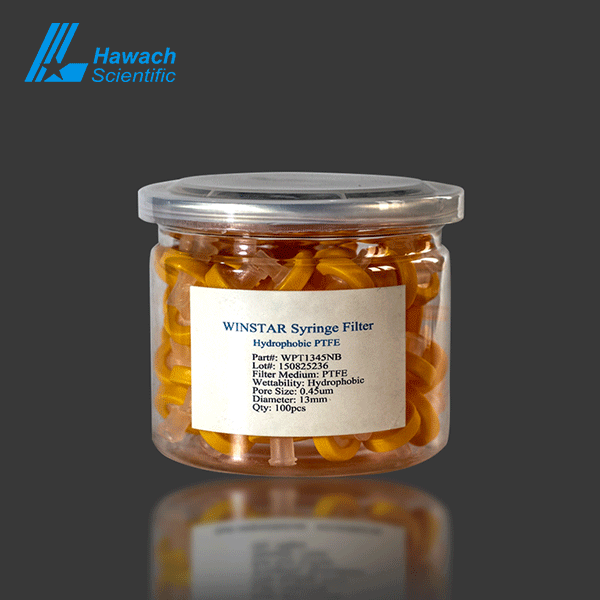 Filtration of liquid samples such as tissue culture medium, microbial medium, and buffer solution. 4. 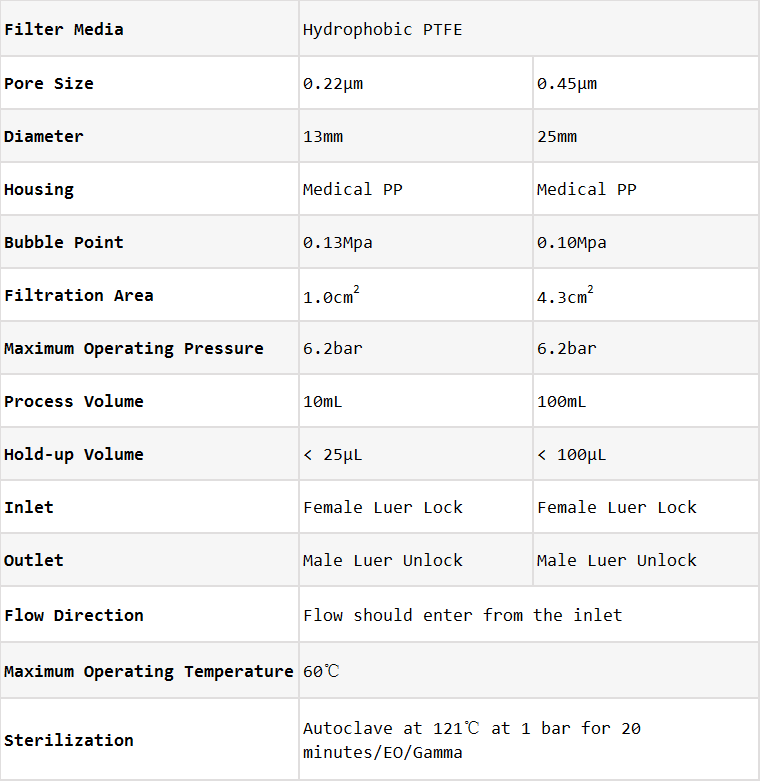 Purification and clarification of a highly corrosive solution.